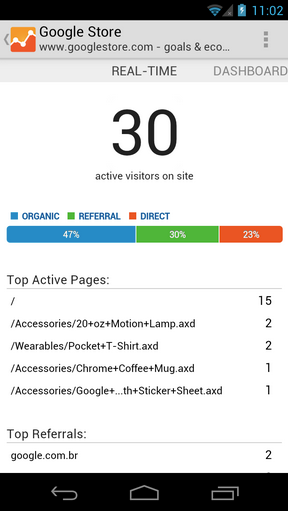 With the Google Analytics App, you can access the same accounts and profiles you see when you open Analytics from a desktop browser, but you’ll see reports that are optimized for your phone. Visit Google Play to download and install the app to keep up with your data anytime, anywhere. 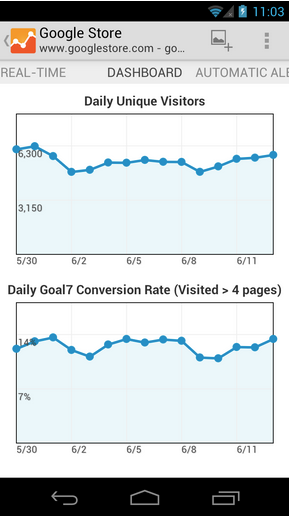 We are pleased to announce the launch of Google Analytics App for Android phones!